In the field of information technology technologies are daily changing. It's needed to keep yourself updated with latest one. 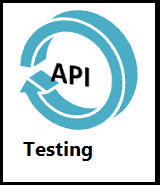 So I am sharing my knowledge of API testing. Basically we need to start from scratch understanding you are beginner in web service testing.